Ledbury is picturesque Market town filled with a rich heritage, charming old buildings and surrounded by the Malvern Hills and the Wye Valley. Ledbury is also home to independent businesses and boutiques, excellent restaurants and accommodation, as well as markets and festivals. 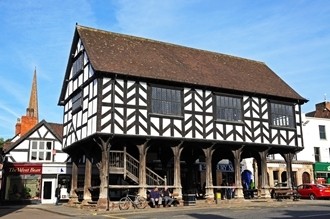 Ledbury is known for its classic black and white timber framed buildings. The main one being the Market House, built in 1617, which is still the venue for markets held in town. Ledbury is situated close to three of the main surrounding cities: Worcester, Hereford and Gloucester. Boasting excellent transport communications, including the access to the M50 and the rail network which has direct links to Birmingham, Hereford, London, Nottingham and Oxford. Search our database of properties for sale and rent in Ledbury and surrounding areas.